This class has filled. Thank you! Please call the store to be added to the wait list 651-698-6431. Welcome spring with lush color. 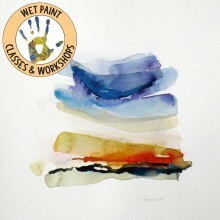 The primary purpose of this one day workshop is to explore the richness of fresh, wet watercolor. We will work on skill-building and confidence-in-stroke through demonstrations, exercises and application in a composition. The morning starts with a demonstration, followed by exploratory exercises. After a short lunch break, there will be further demonstration, practice and development of compositions. The secondary purpose is to expand personal creativity and leave limitations behind. Bring: picnic lunch (no refrigerator), open mind, a sense of adventure, supplies. Supply list will be sent to registrants and is available in the store. 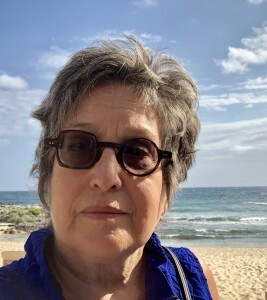 Monica Fogg is an artist (watercolor, encaustic, acrylic, woodcut, and lithography) and designer or fabricator (Prince, Lorie Line, Disney, Guthrie Theater, Minnesota History Center and others). She has taught courses in watercolor, drawing, painting, color theory, design, visual studies and art history. She currently teaches in the College of Design at the University of Minnesota. Purchase of classes is subject to Wet Paint cancellation policy. Click here.